Parents want the best for their children and strive to give them every opportunity to learn and grow. A powerful way to enhance children's lives is to introduce them to music. Playing an instrument can benefit children intellectually, socially and emotionally. Music stimulates your brain, providing many advantages. Learning to play piano can increase cognitive function in several ways. Studying jazz improvisation in particular connects the different parts of your brain, improving your ability to organize and recognize patterns. Playing an instrument activates the memory centers of your brain and helps you retain new information you take in. Reading comprehension improves with exposure to music education. Because music and mathematics use similar thought processes, exposure to music may even make you better at math. Music connects you to humanity. One of the easiest ways to immerse yourself in another culture is to embrace its musical traditions. Music is typically a product of environment and experiences, so it's a fun way to delve into the history of a place. People also bond over music. Through performance, you can face your fears of what other people think of you and adopt tools for overcoming social anxiety. 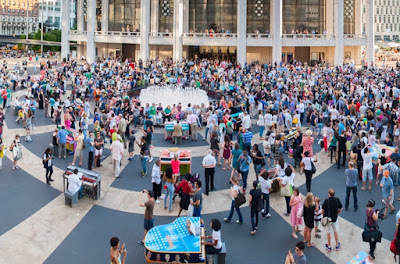 From sharing the experience of a live performance or spontaneous play on street pianos in New York, pursuing every opportunity to listen to or collaborate with others can foster a sense of belonging and camaraderie. As with any art, music gives you an outlet for expressing yourself, which is essential to emotional well-being. The more you learn about how to play your instrument, the more creative you can be. Therapists recognize the benefits of music therapy, which include inducing relaxation, managing stress and experiencing joy. Music education can extend to learning other healthy coping skills. A musical performance can bring joy to the people who hear it, and their expression of enjoyment can be very gratifying to the musician. No matter what level of skill you have, music can boost your mood and improve your outlook on life. While learning a new instrument comes with challenges, the benefits make those challenges well worth the trouble. Playing music on your own has both mental and emotional perks. Sharing what you've learned with other people not only increases your own happiness but can bring them joy as well. If you want to give your children the very best in life, give them the gift of music.